Our school's operation transformation came to a conclusion last Friday after a very successful 7 weeks. In total we had 45 students signed up and they took part in 2,3 and 4 kilometre runs every Tuesday lunchtime in sometimes hail sleet and snow weather conditions. Also, every Friday lunchtime our students took part in circuits classes. As a reward we had a little party in the canteen and raffled off 4 iPod shuffles for their tremendous efforts. 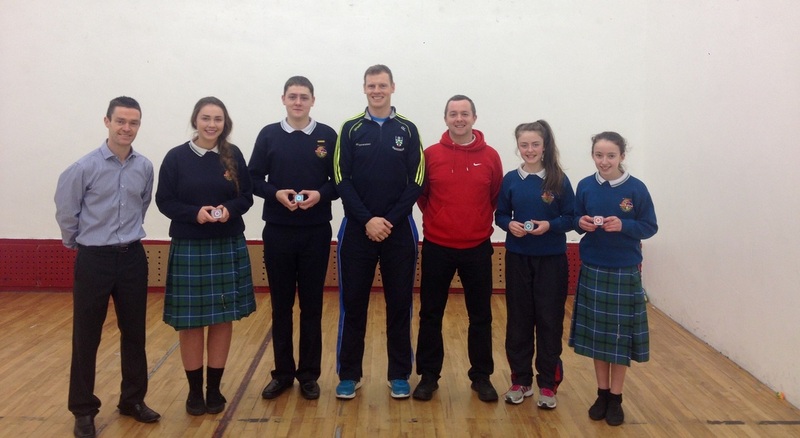 Our four worthy recipients were; Shannon O' Flynn, Kevin Cosgrove, Megan Moynagh and Alysia Carolan. Finally, we must thank all the staff who organised and took part in the program which were; Mr Farrell, Mr mc Quillan, Mr Ross, Mr Mc Caul and Mr, Lennon. Let's hope they all keep up their fitness regimes and they will be ready to go again next year!